Information on writing, citing, searching, evaluating sources, scholarly vs. popular articles, and avoiding plagiarism. 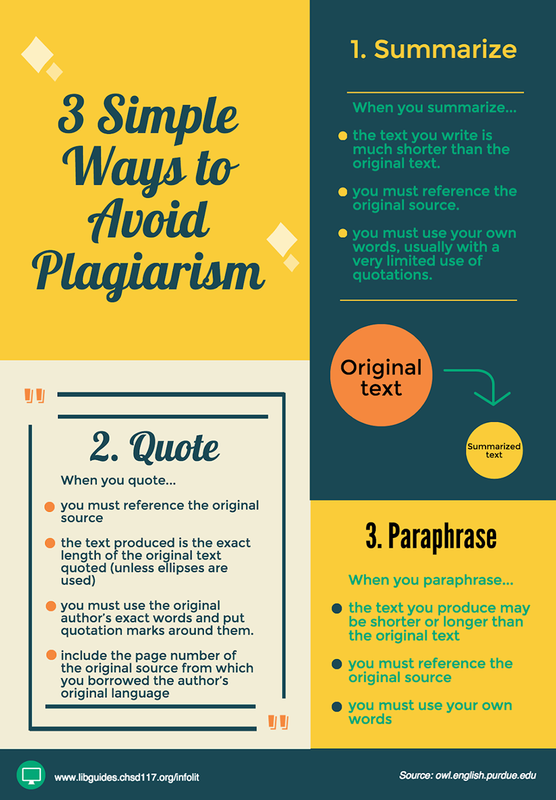 Learn how to recognize and avoid plagiarism in this short tutorial. the text you write is much shorter than the original text. you must reference the original source. you must use your own words, usually with a very limited use of quotations. the text produced is the exact length of the original text quoted (unless ellipses are used). you must use the original author's exact words and put quotation marks around them. include the page number of the original source from which you borrowed the author's original language. the text you produce may be shorter or longer than the original text. you must use your own words.